Description: Second Division, March 31, 2008 No. 1-07-0526 AMERICAN FAMILY MUTUAL INSURANCE COMPANY, Plaintiff-Appellee, v. CONNIE ROTH, Individually and d/b/a/ Roth and Roth Insurance Agency, Inc.; BONNIE ROTH, Individually and d/b/a Roth and Roth Insurance Agency, Inc.; and ROTH AND ROTH INSURANCE AGENCY, INC., d/b/a Roth and Roth Insurance, Defendants-Appellants. Appeal from the Circuit Court of Cook County. Honorable William O. Maki, Judge Presiding. Description: NO. 5-07-0071WC In the Appellate Court of Illinois, Fifth Judicial District, Workers' Compensation Commission Division, BEELMAN TRUCKING, Appellant, v. WORKERS COMPENSATION COMMISSION et al. (Jack G. Carson, Appellee). Appeal from the Circuit Court of Clinton County. No. 06-MR-80 Honorable William J. Becker, Judge, presiding. Description: 1-06-3702 Third Division, March 31, 2008 No. 1-06-3702 CORDECK SALES, INC., Plaintiff, v. CONSTRUCTION SYSTEMS, INC., et al., Defendants. (A.L.L Masonry Construction Company, Inc., Just Rite Acoustics, Inc., Reinke Gypsum Supply Co., Stair One, Inc., AMEC Construction Management, Inc., and Inland Electric Corporation, Plaintiffs-Appellees; First Midwest Bank, Defendant-Appellant). Appeal from the Circuit Court of Cook County. No. 03CH6309 The Honorable Clifford L. Meacham, Judge Presiding. Description: First Division, MARCH 31, 2008 No. 1-06-1447 DONALD DUFFY, Plaintiff-Appellant, v. JAMES G. TOGHER, RENEE TOGHER, LATHAM PLASTICS, INC. f/k/a Pacific Pools Industries, Inc., BLACK OAK POOL SUPPLY, INC., and PACIFIC INDUSTRIES, INC., Defendants-Appellees (Shaunna Travis, ) Defendant). Appeal from the Circuit Court of Cook County. No. 02 L 5279 Honorable Ralph Reyna, Judge Presiding. Description: Fourth Division, MARCH 31, 2008 No. 1-06-2127 VITO FAVIA, Administrator of the Estates of Nicholas Favia, Deceased, and Rosa Favia, Deceased; CATERINA FAVIA, Special Administrator of the Estate of Patricia Favia, Deceased, and Michael Favia, Plaintiffs-Appellants, v. FORD MOTOR COMPANY, a Corporation, Defendant-Appellee. Appeal from the Circuit Court ofCook County. No. 00 L 10755Honorable James P. Flannery, Jr., Judge Presiding. Description: Third Division, MARCH 31, 2008 1-06-2312 ROBERT GOLDSTEIN and DEBORAH J. GOLDSTEIN, Plaintiffs and Counterdefendants-Appellees, v. DABS ASSET MANAGER, INC., an Illinois Corporation, ALLEN R. HOCHFELDER and STEPHANIE HOCHFELDER, Defendants and Counterplaintiffs-Appellants. Appeal from the Circuit Court of Cook County. No. 03 CH 20274 Honorable Judge David R. Donnersberger, Judge Presiding. Description: First Division, March 31, 2008 No. 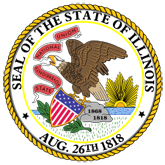 1-06-1214 In re D.H, a Minor, (The People of the State of Illinois, Petitioner-Appellee, v. D.H., Respondent-Appellant). Appeal from the Circuit Court of Cook County No. 05 JD 5151 Honorable Noreen Marie Daly, Judge Presiding. Description: Third Division, March 31, 2008 No. 1-05-3495 THE PEOPLE OF THE STATE OF ILLINOIS, Plaintiff-Appellee, v. WARREN AVERETT, Defendant-Appellant. Appeal from the Circuit Court of Cook County. Honorable John Kirby, Judge Presiding. Description: Sixth Division, March 31, 2008 No. 1-07-2784 THE PEOPLE OF THE STATE OF ILLINOIS, Plaintiff-Appellant, v. JAMES DEGORSKI, Defendant-Appellee. Appeal from the Circuit Court of Cook County. No. 02 CR 15430 The Honorable Vincent M. Gaughan Judge Presiding. Description: Third Division, MARCH 31, 2008 No. 1-06-1950 THE PEOPLE OF THE STATE OF ILLINOIS, Plaintiff-Appellee, v. JOSE FLORES, Defendant-Appellant. Appeal from the Circuit Court of Cook County. No. 04 CR 29550 The Honorable John Kirby, Judge Presiding. Description: Sixth Division, March 28, 2008 No. 1-06-2575 THE PEOPLE OF THE STATE OF ILLINOIS, Plaintiff-Appellee, v. RUSSELL HOBSON, Defendant-Appellant. Appeal from the Circuit Court of Cook County, Illinois. No. 98 CR 9695 Honorable Dennis J. Porter, Judge Presiding. Description: First Division, March 31, 2008 No. 1-06-0032 THE PEOPLE OF THE STATE OF ILLINOIS, Plaintiff-Appellee, v. ERIC MARSHALL, Defendant-Appellant. Appeal from the Circuit Court of Cook County. No. 99 CR 22151 The Honorable Joseph G. Kazmierski, Judge Presiding. Description: Nos. 2--06--0996 and 2--06--1053 cons. Filed: 4-1-08 In the Appellate Court of Illinois, Second District, THE PEOPLE OF THE STATE OF ILLINOIS, Plaintiff-Appellant, v. JOSE J. SANDOVAL, Defendant-Appellee. Appeal from the Circuit Court of Du Page County. No. 04--CF--3607 Honorable George J. Bakalis, Judge, Presiding. Description: Fourth Division, March 31, 2008 No. 1-06-0682 THE PEOPLE OF THE STATE OF ILLINOIS, Plaintiff-Appellee, v. RAUL TIJERINA, Defendant-Appellant. Appeal from the Circuit Court of Cook County, Illinois. No. 04 CR 17227 Honorable Stanley J. Sacks, Judge Presiding.